Come to Oahu to experience the rich culture and diversity as well as the warm aloha spirit this Hawaiian island has to offer. Find out firsthand what attracts thousands of travelers to flock to this magical place every year. 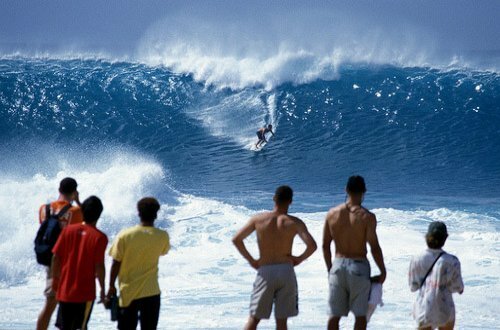 With its many festivals and events that occur throughout the year, Oahu absolutely justifies its nickname – "The Gathering Place". So come, join the gathering and enjoy a few days in this tropical paradise. Oahu enjoys an average temperature between 75 degrees F and 85 degrees F, almost throughout the year. However, the best time to visit Oahu Hawaii island is between mid-December and mid-April. In fact, the last 2 weeks of December are ideal for visiting Oahu. However, the accommodation rates are considerably lower from mid-April to mid-June and from September to mid-December. You can expect a perfect weather for your dream vacation during the months of April and May as well as September and October. The majority of the hotels and resorts located in Oahu are in Waikiki. From luxurious ocean-view suites to typical 4-star hotels, you are sure to find a place here that suits your travel budget. Oahu offers a vibrant nightlife and best quality dining options. 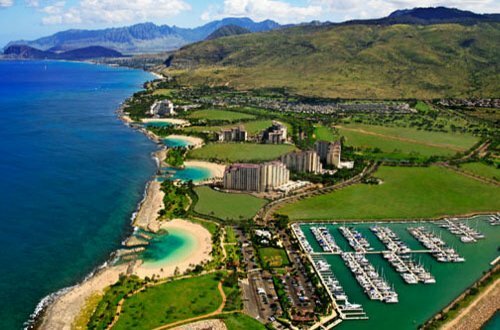 The Ko Olina resort and marina area, with its seven lagoons, also offers lush condos and hotels. There is only one hotel in the North Shore region. However, the area has plenty of vacation homes, condominiums and backpacker hostels, with options to fit your budget. Don't feel like staying confined in a room? Camping permits are always available. Simply get one and pick up necessary supplies at affordable rates from the stores in the area. While staying in Waikiki, check out the Food Pantry for a quick breakfast or lunch. You can have rice, scrambled eggs, two strips of bacon and a sausage for breakfast and roasted chicken with rice for lunch. The quality of food is excellent, and the prices are quite affordable. 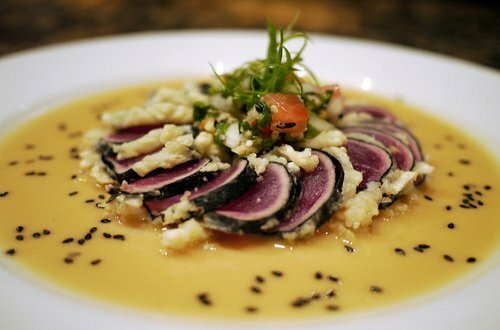 The other places to eat while in this Hawaiian island include Boots & Kimo's, Germaine's Luau, Hana Sushi, Matsumoto's Shaved Ice and many more. Are you into kayaking, hiking, or surfing? Oahu has the best options available for these adventurous activities. The area also offers historic royal palaces, museums and cathedrals as well as a vibrant nightlife. The Ancient Pohaku or the Wizard Stones symbolizes the spiritual heritage of the island. Enjoy the spectacular view from the Diamond Head sea cliff. 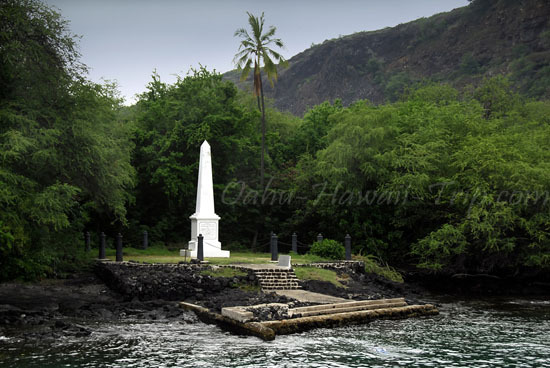 Discover the history of Hawaiian and Polynesian cultures at The Bishop Museum. There are various means of transportation that you can make use of to explore the island. Rent a car, a motorcycle or a moped to do some exploring on your own. However, if you prefer being guided to the major tourist destinations, simply grab a cab, limousine or some form of public transportation. 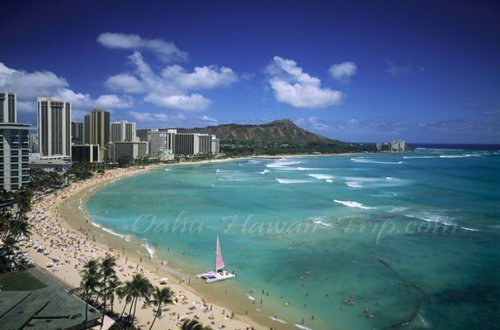 Click here to learn more about Oahu Hawaii on Wikipedia, the free encyclopedia. Have A Fun & Save Vacation on Oahu Hawaii, Enjoy!! !